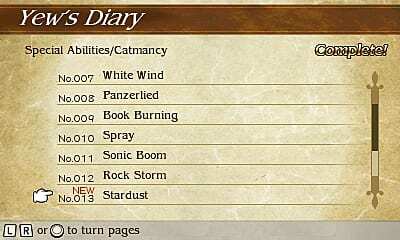 The Catmancer Job in Bravely Second replaced the Vampire from Bravely Default. You can learn enemy skills, then use them in battle. Unlike the Vampire, you also need specific cat items each time you use a Catmancer ability. You can only get these skills from certain enemies. 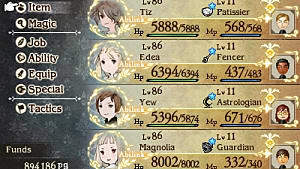 Some skills are unavailable until you reach chapter 5 or later, and some are available from different enemies depending on how far in the story you made it. I'm going to list all of the Catmancer abilities, how to get them, and what items they need. 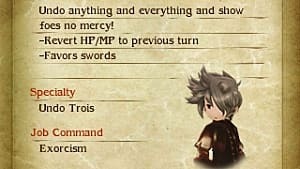 If you need help with anything else, check out by Bravely Second Beginner Tips and Tricks. Catmancer Skills and Mastery List - Every Catmancer skill, what they do, where to get them, and what items they need. Cat Food Items - How to get Cat Food Items. 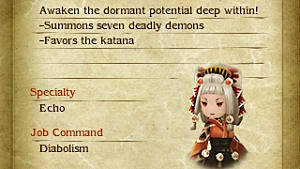 I'm going to list the skills as they appear in Yew's Diary. I may be missing some and if you know what they are, let me know in the comments. 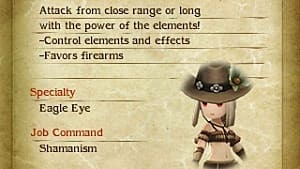 There may also be multiple enemies available for each skill, but I'm listing the ones that I learned them from. You can let me know if you learned them from anyone else. How to get it - Shooterbug in Geyser Grotto in all chapters. How to get it - Valtora in the Eisen Region before chapter 5. Description - Reduce Target's HP to 1. How to get it - Iron Man (II) A-Type in Grand Mill Works before chapter 5. Description - Attack target and lower its P.Def. How to get it - Orc Lord in Mythril Mines in all chapters. 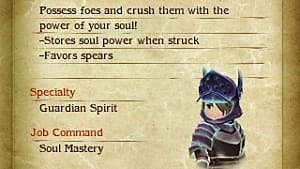 Description - Attack together with any HP-Critical allies. How to get it - Great Moth in Miasma Woods before chapter 5. How to get it - Aqua Lantern in Twilight Ruins B2 before chapter 5. Description - Heal all targets by an amount equal to the user's current HP. How to get it - Iron Man (II) B-Type in Grand Mill Works before chapter 5. How to get it - Flare Lanterns in the Eisen Region before chapter 5. How to get it - Deathfish in the Sea at night before chapter 5. 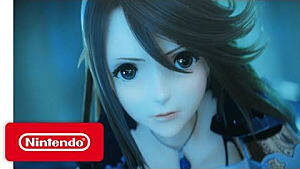 Description - Water-based attack on a single target that pierces Default stance. How to get it - Anzu in the Ba'al Crater in all chapters. How to get it - Megascolides in the Eternia region at night in chapter 5 or later. Description - Earth-based physical attack on all targets. How to get it - Regulus in the Mythril Mines in chapter 5 or later. Description - Light-based attack on all targets. These are higher level skills, but you still learn them from enemies. They require 2 items instead of 1 and level 8 Catmancer to unlock the Cat Mastery skill. You can learn Cat Mastery skills as long as one character has Cat Mastery, but can't use them unless you have Cat Mastery unlocked on that character. How to get it - Imperial Medic Van in the Patissier Asterisk fight and northeast of Florem before chapter 5. Description - Raise a single ally's BP by 1. How to get it - Hamadryad in Florem Garden in chapter 5 or later. You can also get it from the Minette boss fight in chapter 5. Description - Instantly kill all sleeping combatants, enemy or ally. How to get it - Gargantua in Celestial Road in chapter 6. Description - Send a foe flying clear off the battlefield. Does not work on bosses. How to get it - White Queen in Geneolgia Crypts in chapter 5 or later. Description - Unleash 4 randomly targeted attacks that may instantly kill targets. 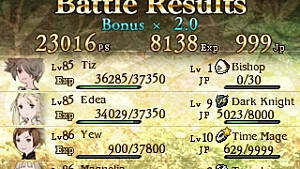 How to get it - Bahamut Monk in Celestial Road in chapter 6. Description - Make all combatants go Berserk. Description - Unleash an attack that deals 4 times normal damage. How to get it - Skull Lancer in Grapp Keep in chapter 5 or later. Description - Unleash an attack that deals extra damage to enfeebled foes. How to get it - Ba'al III: Apparati from the moon base via Street Pass. Description - A lightning-based multi-target attack that causes weakness to fire. There are multiple ways to get Catmancer items. This will find a cat food item while in battle. When you fix and upgrade this building, you will periodically receive them from the moon over time. You will also be able to buy them from the traveling merchant after unlocking them. If you are trying to max Catmancer and use all of the abilities, I highly suggest maxing out the Bioplant so you have easy access to every cat food item. It also gives you confectioneries for the Patissier Job if you choose to use that. 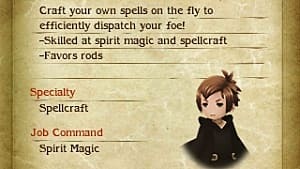 That's all for my guide on Catmancer Skills and Mastery in Bravely Second. Let me know if you have any questions!